ITMA will jointly organise the Nonwovens Forum @ ITMA 2019 with the International Association for the Nonwovens and Related Industries (EDANA). The event will feature discussions on the latest innovations in nonwovens. The SAC & ZDHC Manufacturer Forum will focus on the value of chemical and environmental management, the Higg Facility Environmental Module (Higg FEM), the ZDHC tools and implementation, and ways of continuous improvements at facility level. The Manufacturer Forum promises to be informative and highly practical. The morning session will provide the most recent overview of SAC and ZDHC, and demonstrate the related approaches and tools. Afternoon discussions will focus on the practicalities of implementation and provide teaser trainings on best practices. The day will close with an evening reception as an enjoyable opportunity for further discussion and for networking amongst industry peers. For enquiries, email Jennifer Kwong at jennifer@apparelcoalition.org. For a decade, Planet Textiles has been the leading international event on textile sustainability has been a springboard for retail and brand executives to implement practical, real, tangible change within their supply chains. A truly global event which has taken place in regions such as Hong Kong, Shanghai, Copenhagen, Bangalore, and Vancouver, the 10th edition will see an unrivalled gathering of industry experts from the entire fashion value chain. Delegates in Barcelona will detail disruptive new textile technology, expert insight from leading industry CEO’s, retail and apparel brands and NGO’s involved in the environmental space. Supported by the Sustainable Apparel Coalition, special sessions at Planet Textiles will feature the ZDHC Foundation and Fashion for Good, along with breakout sessions on what denim and textile production will look like in the second half of the 21st Century. Planet Textiles is organised by MCL News & Media with support from the Sustainable Apparel Coalition, Fashion for Good and media partner Ecotextile News. For enquiries and sponsorship opportunities, email Paula Jones at info@mclnews.com. 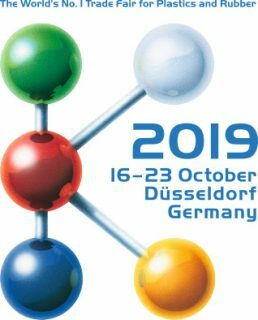 The 3rd Textile Colourant and Chemical Leaders Forum @ ITMA 2019 will centre on the circular economy and resource sustainability strategy. It explores how textile chemicals and innovative and cleaner technologies can support the strategy under the influence of Industry 4.0 emerging strategic concept. As digital textile printing matures, it is clear that chasing speed for its own sake is not always the best strategy. What matters is spotting the applications where digital textile can be a commercial winner by delivering the right quality, productivity and price. While ITMA 2015 saw the super-fast single-pass machines meet head-on, ITMA 2019 is likely to have a focus on ink innovation, and perhaps for the development of inkjet in other areas of textile finishing. The WTiN Digital Textile Conference at ITMA will also explore the trend for integration of on-demand print with downstream manufacturing processes. For enquiries, email Daniel Green at dgreen@wtin.com. An introduction to the largest cotton sustainability standard in the world, with a multi-stakeholder approach to scaling more sustainable cotton farming practices. The event will feature an introduction to the Better Cotton Standard System, highlights from farming activities, and perspectives from guest speakers demonstrating value from field to store. Note: Subject to change without prior notice. For enquiries, email Daren Abney at membership@bettercotton.org. Texmeeting by TEXFOR was launched in 2013 in order to provide a forum for the textile industry to discuss solutions for different aspects related to the sector, as well as to create an appropriate framework to expand the network of professional contacts of the participants. This edition of the Texmeeting will be held alongside ITMA 2019 and with the support of the 080 Barcelona Fashion. Cold as ICE: The international leading trade fair for coating and converting of paper, film, foil and nonwoven held with wintry temperatures true to its name. In the halls of Messe München, however, nobody felt the cold. Responsible for that were the industry’s latest technologies and developments – just like those of Mahlo GmbH + Co. KG. At booth A5/1510 the nearly 7.200 visitor from 75 countries could witness firsthand the versatile measure and control technology of the Bavarian machine builder. The Qualiscan QMS-12 identifies important process parameters such as basis weight, moisture or coating add-on on the running web and helps to optimize the production process. Due to the various scanners and sensors available, the web gauging system can be integrated in almost every production line. For especially demanding applications Mahlo brought two re-engineered sensors to ICE, as Area Sales Manager Matthias Wulbeck explains: “For a highly precise measurement of transparent coats, our white light interference sensor Optoscope WLI is the right choice. With it, coating add-on as well as thickness can be determined.” The sensor is used inter alia with film extrusion and multilayer films. According to Wulbeck, Mahlo is especially proud of its latest addition to its portfolio, the infrared sensor Infralot IMF. The in-house development is available in a reflective and transmitting version. Both designs – despite working with classic filter measurement principle – manage without rotating filter wheel and therefore guarantee a true same-spot measurement of reference and measurement filter. “That leads to a very high accuracy, especially with inhomogeneous products”, says Wulbeck. The web gauging expert instances measurement of moisture as well as the single components measurement on paper and nonwoven. Autor romanblutecPublicado el abril 9, 2019 abril 9, 2019 Categorías Blutec, Expos, Itma 2019, NoticiasDeja un comentario en ITMA 2019 FLOOR PLANT APPS READY !! !